Maudie Benton said being a member of United Methodist Women has been a rewarding experience. Benton has recently been named the President of United Methodist Women for the Starkville District of the Mississippi Annual Conference of the United Methodist Church. 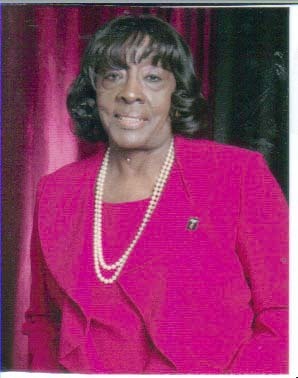 She is a native Mississippian and a retired school administrator. She is a graduate of Rust College, Jackson State University, and she received her specialist degree from Mississippi State University. Benton is a member of Wesley United Church in Kosciusko, where she has held several leadership positions, including Education Chair, Sunday School Superintendent, teacher, choir member, Class Leader, Administrative Board Chair, and currently Lay Member to The MS Annual Conference. On the district level, Benton has served three terms as United Methodist Women Secretary of Program Resources. Benton said in some ways the secretary position has helped to prepare her for her current position as UMW President. Starkville District Superintendent for the Mississippi Annual Conference of the United Methodist Church, Dr. Embra Jackson said the Starkville District is elated to learn that Mrs. Maudie Benton has been elected as the president of the District United Methodist Women. Benton said even though some District United Methodist Churches have similar or no women’s organization, she believes it would be empowering for women to know about the mission concepts that The United Methodist Women Organization entails. The District United Methodist Women hold three meetings each year. The first meeting date is 9 a.m. Feb. 21 at the Starkville District Day Apart/Local Officers Training at Buffalo UMC in Kosciusko. Other dates and locations will be listed soon. The Starkville District is happy to host the Conference Annual meeting of the United Methodist Women. For more information about organizing or supporting a United Methodist Women’s group, contact Benton at (662) 289-6010 or (662) 582-0825.